Below is a downloadable, printable guide to purchasing firearms online! It's as easy as 1, 2, 3! 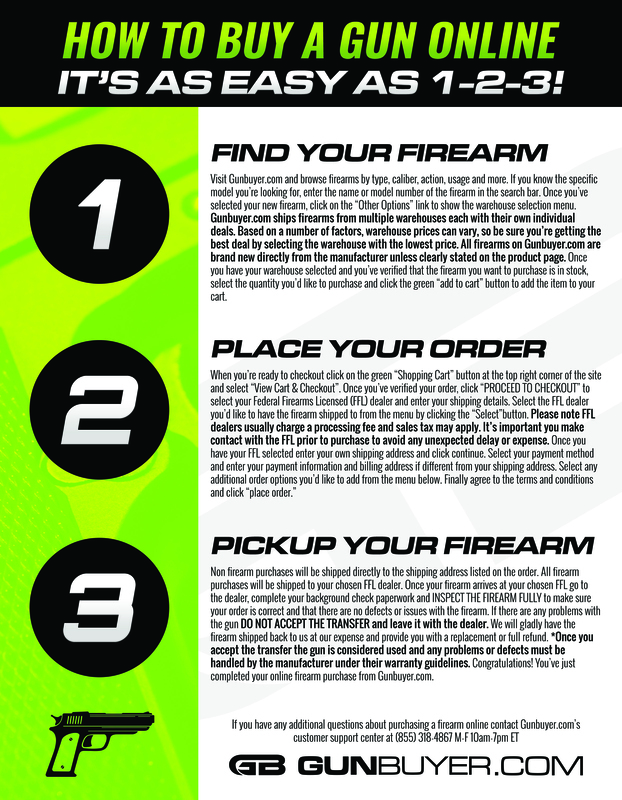 For more information on purchasing from Gunbuyer.com please visit our "Buying Guns Online" step by step guide to help assist during checkout!